비타민C에 대해 가장 많이 질문하고 궁금해하는 내용들을 의과학적인 증거와 의사들의 견해를 중심으로 잘 정리한 내용입니다. 본 내용은 한국에 와서도 강의한바 있으며 비타민c의학 연구로 유명한 앤드류 박사Andrew W. Saul, Ph.D. (USA)의 딸이 인터뷰하고 편집한 글입니다. 대부분의 내용이 의과학적인 reference를 기반으로 했기 때문에 신뢰성이 높은 내용으로 건강의학을 위해 일독을 권해드립니다. When did you start giving your children vitamin C, and how much do you give them? 언제부터 아이들에게 비타민C를 주기 시작했으며, 얼마나 주었나요? We started supplementing with vitamin C the day they were born. Plus, I took at least 8,000-10,000 milligrams (mg) per day while I was pregnant. Based on Dr. Frederick R. Klenner's recommendation for infants, we gave our babies oral doses of 50 mg of vitamin C per day. Then we gradually moved up to 1,000 mg per day by age one. However, in the winter, when our kids are sick (or about to be), or when stressed, etc., they get far more vitamin C. It depends on the day; it depends on the kid. We divide the dose and give vitamin C several times throughout the day. When they were really little, they could take pre-made liquid vitamin C by sucking it out of a dropper. Or, we made our own liquid C by dissolving vitamin C crystals in juice. While I was breastfeeding, I took plenty of vitamin C to help ensure that it was available in my breastmilk. We gave them ascorbic acid mixed with buffered calcium ascorbate vitamin C. Now, we like sodium ascorbate (and it is easier on the stomach than ascorbic acid). Practically speaking, we give sodium ascorbate in the morning. Once our kids have food in their bellies, we switch to ascorbic acid or a mix of ascorbic acid and sodium ascorbate. To learn more, here is my article "Tips from a Megavitamin Mom: Getting Kids to Take Vitamins and Lots of Them" available at http://www.orthomolecular.org/resources/omns/v12n09.shtml. I found this dosing table from Dr. Klenner helpful: A "Therapeutic Level of Vitamin C Supplementation as Employed by F. R. Klenner, M.D." available at http://www.doctoryourself.com/klenner_table.html. 태어난 날부터 비타민C를 보충했습니다. 그리고, 제가 임신했을 때 적어도 하루에 8,000에서 100,000mg은 먹었습니다. Frederick R. Klenner 박사의 추천을 바탕으로, 우리는 아기들에게 하루에 50mg의 비타민C를 경구 투여했습니다. 그리고 나서 1살 먹을 때마다 점차적으로 1,000mg씩 올렸습니다. 하지만, 겨울에는, 우리 아이들이 아플 때(혹은 아프기 직전), 스트레스를 받을 때, 훨씬 더 많은 비타민C를 보충했습니다. 아이에 따라, 그날에 따라 다르게 했습니다. 우리는 하루동안 여러 번 나누어서 비타민C를 먹도록 했습니다. 정말 어렸을 때는 젖병에서 미리 만들어진 액체 비타민C를 빨도록 했습니다. 아니면, 비타민C를 쥬스에 녹였습니다. 모유 수유를 하는 동안에는 비타민C가 충분히 함유되도록 비타민C를 많이 복용했습니다. 아스코르빈산 칼슘 비타민C와 섞은 아스코르빈산을 주었습니다. 사실, 아침마다 아스코르빈산 나트륨을 먹입니다. 식후에는 아스코르빈산이나 아스코르빈산과 아스코르빈산 나트륨이 혼합된 것으로 바꿔 먹입니다. 자세한 내용은 "Tips from a Megavitamin Mom: Getting Kids to Take Vitamins and Lots of Them"라는 제가 쓴 기사를 참조하세요. 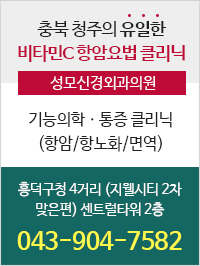 F. R. Klenner M.D가 쓴 기사인 "Therapeutic Level of Vitamin C Supplementation" 의 도표가 도움이 될 듯합니다. How do I give my kids vitamin C without giving them excess sugar to get it down? 어떻게 하면 아이들에게 설탕없이 비타민C를 먹일 수 있을까요? I have found that with my kids, making vitamin C tasty gets it down. Lately we have been mixing powdered vitamin C with a little bit of juice. While it is not a sugar free delivery system, for us, the benefits of getting the vitamin C into them outweighs the downside of using a little sweetness to do so. We just see to it that they otherwise have a low sugar diet. 저는 비타민C를 맛있게 만드는 것이 그 효과를 약화시킨다는 것을 깨달았습니다. 최근에는 약간의 쥬스와 분말 비타민C를 섞고 있습니다. 설탕이 없는 것은 아니지만, 비타민C를 충분히 많이 복용하는 이점이 그렇게 하기 위해 약간의 단맛을 사용하는 부정적인 측면을 능가합니다. 그렇지 않으면 설탕 함유량이 낮은 식단을 먹을 수 밖에 없습니다. What do you think about liposomal vitamin C? How much should you give children if bowel tolerance can't be used as an indicator? 리포솜 비타민C에 대해 어떻게 생각하세요? 용인 수준을 알 수 없는 경우 자녀에게 얼마나 먹여야 합니까? "Quality liposomes are generally almost completely absorbed long before the colon is reached," says Thomas E. Levy, MD. While bowel tolerance is a helpful indicator of "enough" C, a child that looks and feels better is too. We have used liposomal C with success in the past, however currently, my children (and my wallet) prefer vitamin C powder in a little fruit juice. Our protocol with any form of C (as my dad Andrew Saul says) is "take enough C to be symptom free, whatever the amount may be." Thomas E. Levy MD는 "양질의 리포솜은 일반적으로 결장(結腸)에 도달하기 훨씬 전에 완전히 흡수됩니다" 라고 말합니다. 저는 과거에 아이들에게 리포솜 비타민C를 먹였지만, 현재 제 아이들(그리고 지갑 상태)은 작은 과일 쥬스에 탄 비타민C 분말을 더 선호합니다. 어떤 형태이든 비타민C에 대한 우리 가족의 프로토콜은 (아버지 Andrew Saul이 말한 바와 같이) ”어떤 양이든 증상이 치료될 때까지 충분한 C를 복용한다." How do you get little kids to take high-dose vitamin C? 어떻게 해야 어린 아이들이 비타민C 메가도스를 할 수 있게 만들까요? We do whatever works. If it gets the C down, we are happy. Keeping it tasty is key. I write about this in detail here: "Tips from a Megavitamin Mom: Getting Kids to Take Vitamins and Lots of Them" available at http://www.orthomolecular.org/resources/omns/v12n09.shtml. 어떤 방법이든 시도합니다. 맛있게 만드는 것이 핵심입니다. 맛있게 만드는 방법에 대해 제가 자세히 쓴 기사가 있습니다: "Tips from a Megavitamin Mom: Getting Kids to Take Vitamins and Lots of Them"
All the vitamin C chewable tablets I've found contain sugar and fillers. What can I do? 내가 발견한 모든 씹는 형태 비타민C는 설탕과 첨가제를 함유하고 있습니다. 어떻게 할까요? Yes, chewables tend to have at least some sugar and flavor so they taste better. Our kids' chewable vitamin C does too. We just make sure the supplements we give them (and take ourselves) contain no artificial ingredients. It is hard to avoid all fillers, so we do the best we can and we keep in mind that getting the vitamin C into the kids is what is most important. To get around any unwanted ingredients, we buy pure sodium ascorbate vitamin C powder and pure ascorbic acid vitamin C crystals and add the desired dose to about a tablespoon of organic juice. We probably use a dozen different brands of vitamins, and our selection changes as our needs do. We have found chewable tablets to be very handy for packing in their lunch boxes and when travelling. 네, 씹는 형태 비타민C는 적어도 약간의 설탕과 향을 가지고 있기 때문에 더 맛이 좋습니다. 우리 아이들이 먹고 있는 씹는 비타민C도 그렇습니다. 다만 인공적인 성분을 포함하는지 주의합니다. 모든 첨가제를 피하는 것은 어렵습니다. 우리는 그저 최선을 다하며, 아이들에게 비타민C를 공급하는 것이 가장 중요하다는 것을 명심할 뿐입니다. 원치 않는 성분들을 피하기 위해, 순수한 아스코르빈산 나트륨 비타민C 분말과 순수한 아스코르브산 비타민C 분말을 구입해 약 1테이블스푼 정도의 양을 유기농 쥬스에 섞습니다. 거의 12가지의 다른 비타민 브랜드를 사용하고 있고, 필요에 따라 사용하는 브랜드가 달라집니다. 예를 들어 씹는 형태 비타민C는 도시락 상자에 넣어 여행할 때 매우 편리합니다. I can't find a children's vitamin C with enough vitamin C in it. What do you give your kids? 비타민C가 충분히 들어있는 어린이용 비타민C를 찾을 수 없습니다. 아이들에게 무엇을 줘야하죠? When it came to therapeutic dosing of vitamin C, we too had trouble finding children's supplements that contained more than 250 mg per dose. I bought a prepared (sweetened) liquid children's vitamin C and then added extra vitamin C powder to it when larger doses were required. When my kids were infants, I used a mixture of ascorbic acid vitamin C and calcium ascorbate vitamin C (buffered vitamin C): about an 80/20 mix respectively and then would administer it with a dropper or, as they got a little older, a medicine spoon. Then we switched to giving them ascorbic acid vitamin C and calcium ascorbate vitamin C in juice. If I were to do it again, I would also use sodium ascorbate vitamin C powder as it is easy on the kids' tummies and they don't mind the taste of it. 비타민C를 치료 목적으로 복용하기 위해, 1회 복용량에 250 mg이 넘는 어린이 보충제를 찾기 어려운 게 현실입니다. 저는 만들어진(가당된) 어린이용 액체 비타민C를 사고 더 많은 복용량이 필요할 때는 거기에 비타민C 분말을 첨가했습니다. 제 아이들이 갓난아기일 때, 저는 아스코르빈산 비타민C와 아스코르빈산 칼슘 비타민C를 각각 약 80/20 정도의 혼합으로 사용했고, 처음에는 몇 방울을 타는 식으로 하다가 나이가 듦에 따라 수저를 이용해 먹였습니다. 그리고 나서 아스코르빈산 비타민C와 아스코르빈산 칼슘 비타민C를 쥬스에 타서 주는 것으로 바꾸었습니다. 만약 다시 할 기회가 있다면, 저는 아스코르빈산 나트륨 비타민C 분말을 사용하겠습니다. 왜냐하면 아이들의 배가 받아들이기 쉽고 맛이 무난하기 때문입니다. How can I get my extended family to take vitamins? 어떻게 하면 우리 가족들도 함께 비타민C를 복용하도록 할 수 있을까요? The most difficult part for me about knowing that vitamins cure disease is watching others be sick, or turn to dangerous pharmaceuticals, instead of trying nutrition first. I am sure that some people (and doctors) don't know any better. But even when they do, and they still choose medication over healthy lifestyle changes. I have to remind myself of this quote from Will Rogers: "People's minds are changed through observation and not through argument." Nutrition works. It is safe. It is effective. But in my experience, telling others what they should do doesn't work. They have to come to it on their own. 비타민C 치료법을 아는 것의 가장 힘든 부분은 다른 사람들이 영양적으로 먼저 접근하지 않아 아프거나 혹은 그러기 보다 위험한 약을 먹는 것을 지켜보는 것입니다. 저는 몇몇 사람들(그리고 의사들)이 잘 알지 못한다고 확신합니다. 하지만 그런 사실들을 알 때조차 여전히 건강한 생활 방식으로의 변화보다 약을 선택합니다. Will Roger가 했던 말을 인용하자면: "사람들의 마음은 논쟁을 통해서가 아니라 관찰을 통해 변한다." 영양 섭취는 효과가 있습니다. 안전하고 효과적입니다. 하지만 내 경험상, 다른 사람들에게 그들이 무엇을 해야 하는지 말하는 것은 효과가 없습니다. 직접 해보아야 합니다. Can vitamin C prevent side effects from vaccination? 비타민C는 백신 접종 부작용을 예방할 수 있을까요? High-dose vitamin C safely prevents and treats vaccine side effects. This has been evident in our experience. We watched high dose, saturation level vitamin C bring our daughter back to health after a severe vaccine reaction. We watched high dose, saturation level vitamin C prevent vaccination side effects. We give both of our children saturation levels of C before, during (yes, right at the doctor's office) and after immunizations. We don't give the amount of vitamin C we think might work; we give enough to get the job done. 비타민C 메가도스는 백신 부작용을 안전하게 예방하고 치료합니다. 이는 경험상 명백합니다. 저는 비타민C 메가도스가 심각한 백신 반응에서 딸의 건강을 회복시키는 것을 보았습니다. 또한 백신 부작용을 예방하는 것도 보았습니다. 그래서 예방 접종 전(진료실 바로 앞에서), 기간 동안 그리고 예방 접종 후에 두 아이에게 용인 수준의 비타민C를 먹입니다. 우리는 효과가 있다고 생각되는 양 만큼 비타민C를 먹이지 않습니다; 모든 게 끝날 때까지 충분히 먹입니다. 백신 접종 시 비타민C 복용에 대한 자세한 내용은 아래를 참조하세요. "Don't Vaccinate without Vitamin C"
"Vaccinations, Vitamin C, and Choice"
This third article, "Vitamin C Prevents Side Effects from the MMR Vaccine," available at http://www.orthomolecular.org/resources/omns/v12n16.shtml is also about our daughter. However, last summer, our son (age 4) received the first of two required MMR shots. In addition to giving him saturation level, high-dose vitamin C before, during, and after his vaccination, we also followed the advice of pediatrician Ralph K. Campbell, MD, gave him extra vitamin A. In addition to the beta-carotene present in his multivitamin and in the fresh, raw vegetable juice we give the kids each morning, he received 5,000 to 10,000 IU of supplemental preformed fish oil vitamin A the day before and the day of his MMR shot. He, too, did not experience a single side effect due to the MMR vaccine. 세 번째 기사 "Vitamin C Prevents Side Effects from the MMR Vaccine"은 저희 딸에 관한 내용입니다. 지난 여름, 우리 아들(4살)은 두 번의 필수 홍역 예방 접종 중 첫 번째 접종을 받았습니다. 그에게 용인 수준의 비타민C를 예방 접종 전, 기간 동안, 후에, 먹이는 동안 소아과 의사 랄프 캠벨의 조언(비타민 A를 추가로 먹여라)도 따랐습니다. 멀티비타민과 매일 아침 아이들에게 주는 신선한 쥬스에 더해, 접종 전날과 당일에 5,000에서 10,000 IU의 보충제를 먹였습니다. 아이는 백신으로 인한 단 하나의 부작용도 경험하지 못했습니다. Additionally see "Vitamin C Prevents Vaccination Side Effects, Increases Effectiveness" by Thomas E. Levy, MD, available at http://www.orthomolecular.org/resources/omns/v08n07.shtml. 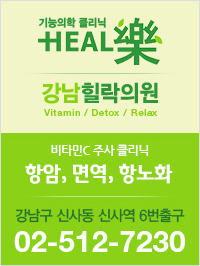 또한 Thomas E. Levy의 " Vitamin C Prevents Vaccination Side Effects, Increases Effectiveness"를 참조하세요. What brand of vitamin C do you recommend? I don't endorse or recommend any vitamin brand (nor will I). I can tell you this: I buy vitamins free of artificial sweeteners, artificial colors, and artificial flavors...and I call the company if I have questions about any ingredients or potency. I read and compare lots of labels and choose the best possible (and most affordable) option that gets results. I have used/use vitamin C capsules, tablets, chewables, powder, and liposomal C. As a general rule, if very high doses are required, I use vitamin C powders/crystals mixed in juice. For regular daily doses, I take capsules. 저는 어떤 비타민C 브랜드도 지지하거나 추천하지 않습니다. 이것은 말해줄 수 있습니다: 인공 감미료, 인공 색소, 인공 맛이 없는 비타민C를 삽니다. 재료나 효력에 대해 궁금한 점이 있으면 회사로 전화합니다. 많은 라벨을 읽고 비교하며 결과를 얻을 수 있는 최상의(그리고 부담할 수 있는) 옵션을 선택합니다. 비타민C 캡슐, 알약, 씹는 형태, 분말, 리포솜 등을 사용해 봤습니다. 일반적으로, 다량의 복용량이 필요하다면, 쥬스에 혼합된 비타민C 분말을 사용합니다. When should I take my vitamins? I take mine in divided doses throughout the day and with food. My before (or in-between) meal supplements include magnesium and probiotics. I take vitamin C whenever I think of it, with or without food. I take B vitamins together as they work best that way, but I take extra niacin on its own as needed. I take iron separately from vitamin E, and I always take zinc with food to avoid stomach upset. 하루 종일 나누어 먹습니다. 식사 이전(또는 식사 사이)에 먹는 보충제에는 마그네슘과 프로바이오틱스가 들어 있습니다. 저는 비타민C를 (음식을 먹었든 안 먹었든) 생각날 때마다 복용합니다. 비타민 B랑 함께하면 최상의 효과를 내기 때문에 함께 복용합니다. 하지만 필요에 따라 비타민 B를 따로 추가로 복용하기도 합니다. 비타민 E와는 별도로 철분을 복용하고, 위장 트러블을 피하기 위해 항상 음식과 아연을 복용합니다. I heard taking too much vitamin C during pregnancy causes infantile rebound scurvy. Is this true? 임신 중에 비타민C를 너무 많이 복용하면 유아에게 괴혈병을 일으킨다고 들었습니다. 사실인가요? According to Alan Gaby, MD, infantile "rebound scurvy" is a myth: consuming large quantities of vitamin C during pregnancy does not cause the baby to be born with infantile scurvy. However, why stop a good thing after they are born? Frederick R. Klenner, MD, recommended 50 mg of vitamin C a day starting at birth and 1,000 mg per day per year of age up to age ten for a total dose of up to 10,000 mg per day. Alan Gaby MD에 따르면, 갓난아기의 "반발적 괴혈병"은 신화입니다: 임신 중에 다량의 비타민C를 복용해도 아기가 괴혈병을 가지고 태어나지 않습니다. 왜 좋은 일을 아이가 태어나고 나서 멈춥니까? Frederick R. Klenner MD는 출생시에 하루에 비타민C 50 mg에서 시작해, 10세까지 매년마다 비타민C를 1,000 mg씩 늘려 10세에는 하루에 총 10,000 mg의 복용량을 복용하도록 권장했습니다. I'm a nursing mom. How much vitamin C should I take? 모유 수유 중입니다. 비타민C를 얼마나 먹어야 하나요? Your optimal dose really depends on you and your baby. How do you feel? How is baby doing? For example, if mom is under a great deal of stress, less vitamin C will be available for baby in breastmilk. The way I approached it with my kids is this: I was really comfortable taking a lot of vitamin C. While I was breastfeeding, I took (at least) 8,000 to 10,000 milligrams of vitamin C a day in frequent divided doses. We also gave the kids supplemental liquid vitamin C throughout the day in small, but frequent doses, in addition to what they were getting from breastfeeding. As long as they (and I) were happy and healthy, all was good. 당신의 최적의 복용량은 당신과 당신의 아기에게 달려있습니다. 기분이 어떻습니까? 아기는 어떻습니까? 예를 들어, 만약 엄마가 엄청난 스트레스를 받는다면, 모유에서 아기들이 복용할 수 있는 비타민C가 줄어듭니다. 제 접근법은 다음과 같습니다: 모유 수유를 하는 동안, 저는 하루에 비타민C를 8,000에서 10,000mg씩 나누어 복용했습니다. 또한 아이들이 모유 수유를 통해 얻는 것 외에도 액체 비타민C를 소량으로 (자주) 주기도 했습니다. 아이들과 제가 행복하고 건강하니 모든 것이 좋았죠. Saturation (bowel tolerance) is a very helpful indicator of "too much" vitamin C. Since gassiness comes before loose bowels, it's a helpful indicator of "enough" vitamin C. If bowel tolerance is reached and stools become frequent, liquid, or, as was the case for my breastfed three-month-old, frequent and greenish in color (since they are always liquid-like), we reduced the frequency and dose, but continued to give C regularly, ramping the frequency and dose up and down as the situation requires. This takes a little practice, but because vitamin C is so safe, we are very comfortable with the process of determining optimal doses for our kids. 포화 상태(용인 수준)는 비타민C의 과함에 대한 매우 유용한 지표입니다. 가스가 항상 변통보다 먼저 나타나기 때문에, 이는 비타민C의 충분함에 대한 매우 유용한 지표입니다. 용인 수준에 도달해 대변이 빈번하고 묽거나 혹은 녹색을 띄는 경우 복용 주기와 복용량을 줄이고 상황에 따라 다시 높이거나 낮췄습니다. 이것은 약간의 경험을 필요로 하지만 비타민C는 매우 안전하기 때문에 최적의 복용량을 결정하는 과정은 매우 순탄합니다. Of note, we get the kids to saturation only if needed due to sickness, vaccination, etc. Once they are at saturation, we throttle back the dose. We continue to give C but give less and give it less frequently. We gradually work back to their normal daily dose of 1,000 mg per day per year of age. For much more about vitamin dosing and safety during pregnancy and lactation, you may want to read my book Vitamins & Pregnancy: The Real Story. 물론, 우리는 아이들이 질병이나 백신 등으로 인해 필요할 때만 포화 상태에 이르게 합니다. 포화 상태에 이르면, 양을 조절합니다. 계속해서 비타민C를 주지만 더 적게 주고 더 자주 줍니다. 그렇게 해서 정상적인 하루 복용량인 매일 1,000mg(1살 마다 1,000mg씩 증가)으로 점차 되돌아갑니다. 임신과 수유 기간 동안 비타민 복용과 안전에 대한 더 많은 정보를 얻으려면 제 책 “Vitamins & Pregnancy: The Real Story”를 참조하세요.